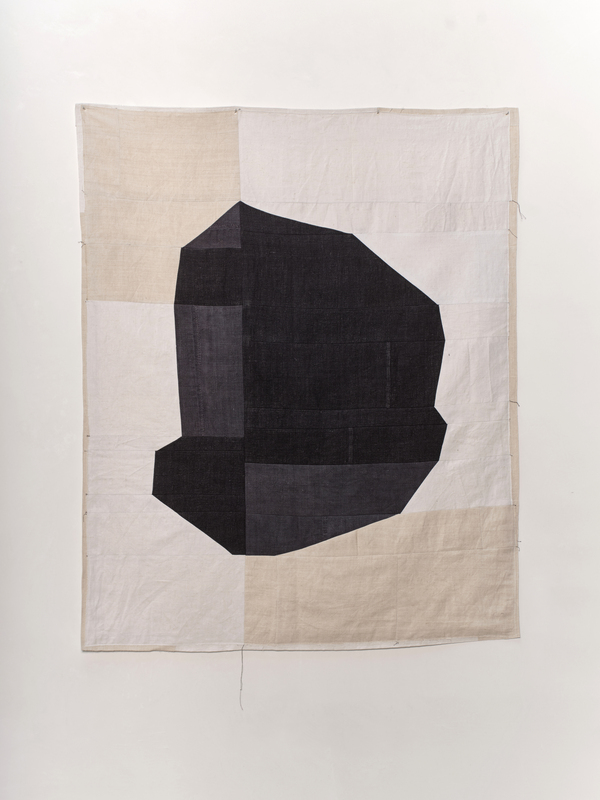 Ina Meijer’s works look simple: clear shapes form a sharp contrast against a bright background. 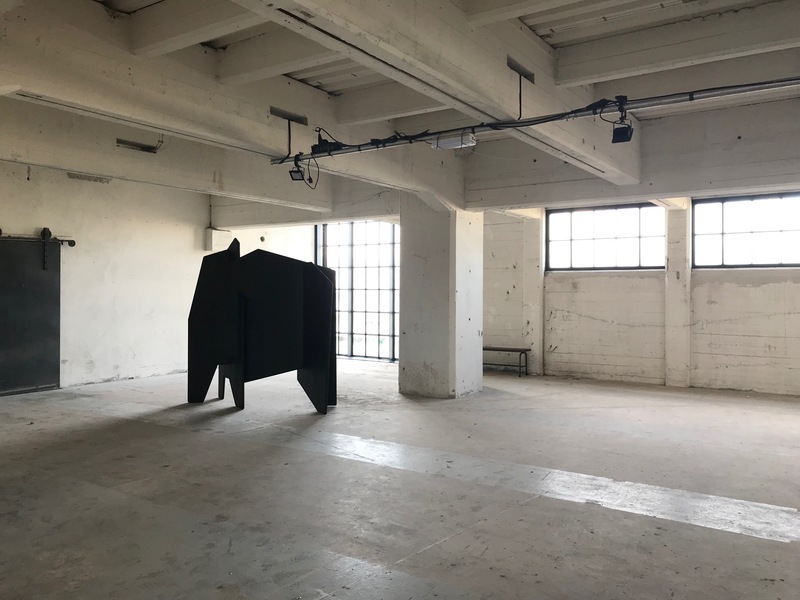 She explores the way in which a two-dimensional work can render a three-dimensional object and whether a spatial form can be a representation of a flat surface. Because they lack a horizon and details, the images are exempt from scale. For a past commission Meijer investigated the subterranean architecture of a Baroque palace. The architects of the time played with the beholder’s perception by subconsciously influencing through manipulating the perspective or by using a symbolism related to status. The language of the form originates from the building’s foundations and the basements of the statues. 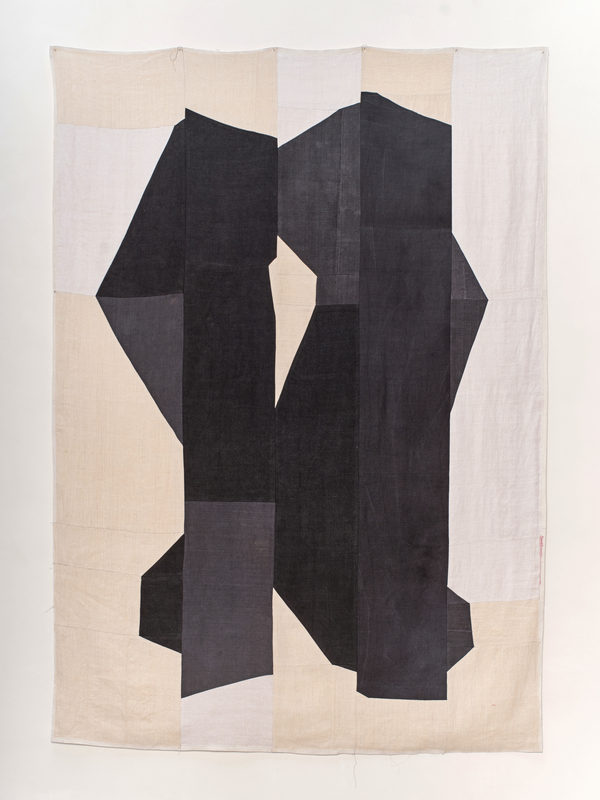 In the absence of architecture or sculpture, the textile hangings acquire a quite different subjectivity, challenging the viewer to explore new meanings and connotations. An important aspect of these works is their material quality. 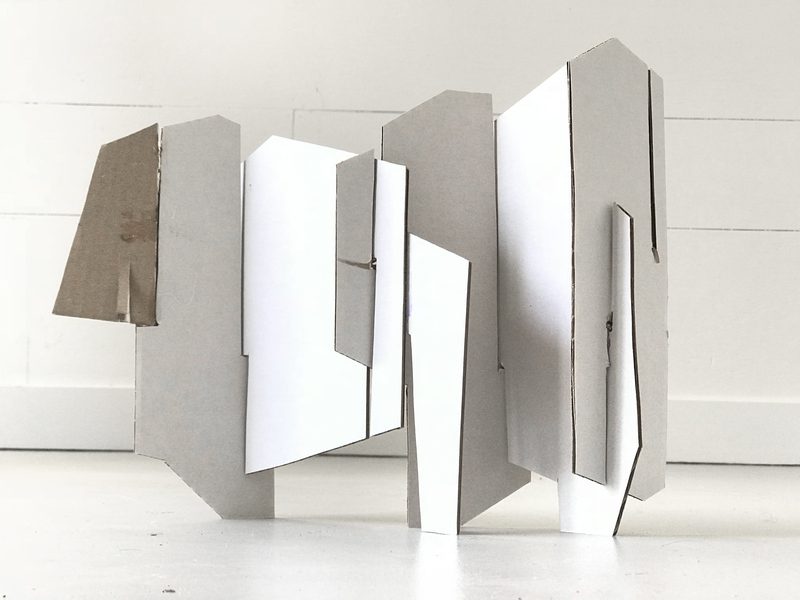 Tactility, textures and structures unfold while the viewer draws closer to the work, so that the experience of the object becomes multi-layered. 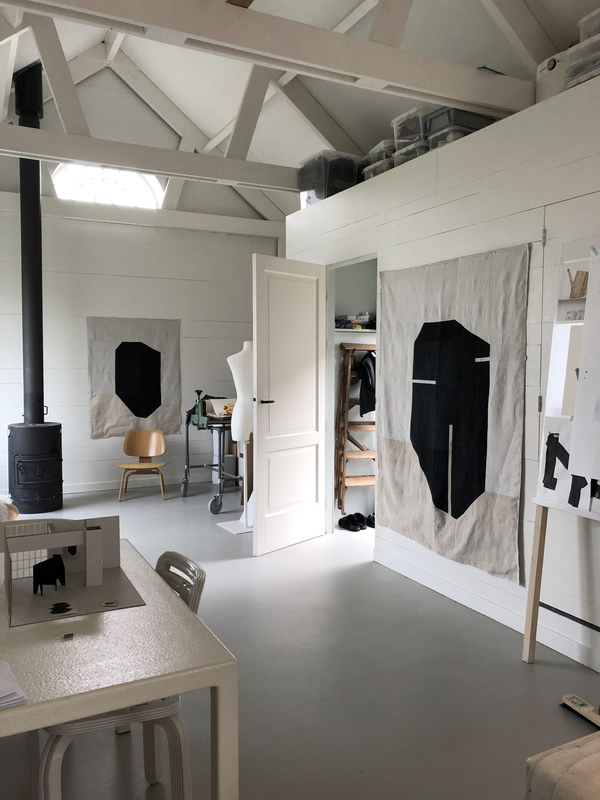 Various lengths of old linen have their own history and texture; they reflect and adsorb the light in different ways.The dark areas suggest the absence of matter and open up to another universe. 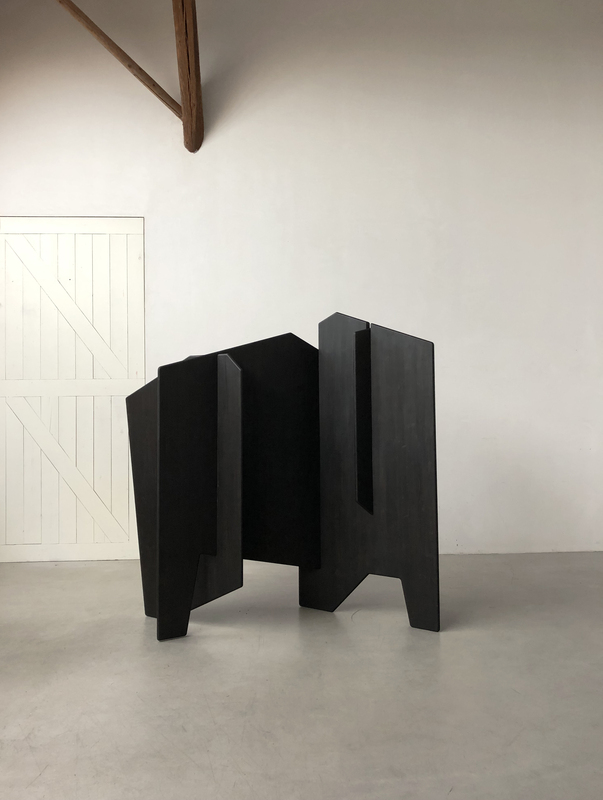 The dark tone of the spatial objects cancels out any working of shadow resulting in an ambiguous two-dimensionality, while close by one experiences the depth of the materialisation, material and the treatment.